Christina Reads YA: Read The Mapmakers Trilogy by S.E. Grove! Read The Mapmakers Trilogy by S.E. Grove! 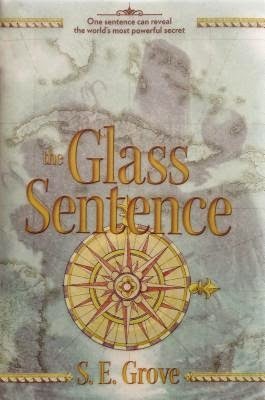 The Glass Sentence & The Golden Specific are the most inventive MG fantasy novels that I've read since Harry Potter. I don't read a lot of MG, true, but they are also much more inventive than a lot of YA I've read. Highly, highly, HIGHLY recommended. 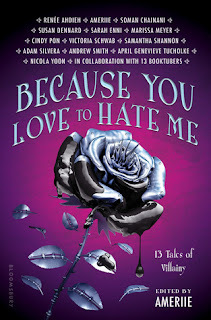 After the below synopses, I will ramble in true fangirl style about my love for these books. IF YOU HAVEN'T READ BOOK 1 AND ARE AFRAID OF SPOILERS, DON'T READ THIS NEXT SYNOPSIS. The eagerly-awaited sequel to the best-selling The Glass Sentence -- a historical, fantastical adventure perfect for fans of Philip Pullman! It is the summer of 1892, one year since Sophia Tims and her friend Theo embarked upon the dangerous adventure that rewrote the map of the world. Since their return home to Boston, she has continued searching for clues to her parents’ disappearance, combing archives and libraries, grasping at even the most slender leads. Theo has apprenticed himself to an explorer in order to follow those leads across the country—but one after another proves to be a dead end. Then Sophia discovers that a crucial piece of the puzzle exists in a foreign Age. At the same time, Theo discovers that his old life outside the law threatens to destroy the new one he has built with Sophia and her uncle Shadrack. What he and Sophia do not know is that their separate discoveries are intertwined, and that one remarkable person is part of both. There is a city that holds all of the answers—but it cannot be found on any map. Surrounded by plague, it can only be reached by a journey through darkness and chaos, which is at the same time the plague’s cure: The Golden Specific. And the cover for The Crimson Skew, the third and final book in the Mapmakers Trilogy, was recently released as well. That book will be releasing July 12, 2016. You can read my initial thoughts up to page 85 of The Golden Specific as well. Note: this is categorized, I think, as middle grade, but the characters are 13-14 years old. You could just as well categorize them as young adult, if you're hesitant to read them because of the label. 1) This trilogy is not just for kids. I like to think of the quote I have on my about page: "A children's story which is enjoyed only by children is a bad children's story. The good ones last." (From Lewis, C.S. "On Three Ways of Writing for Children." On Stories: And Other Essays in Literature. New York: Harcourt Inc., 1982: 31-43.). The best kind of MG and YA stories are the ones with themes so resonant that adults can identify with them as well, and with recognizable yet colorful characters, complex world-building and plotting. When I read The Glass Sentence and The Golden Specific, my first thought was that I would recommend these books to readers of all ages. As I stated in my review of The Glass Sentence, the books focus on making of time what you want. The books focus on family, belonging, history, myth, and story-telling. 2) This trilogy is also perfect for kids. The Golden Specific would be excellent to facilitate discussion among kids about immigration policies and the founding of the United States, what happened to Native Americans. The trilogy is, in many ways, a discussion on historical constructs: this is what happened in our past (Age of Verity); need we repeat these events in the future? Who is telling the story - the people we're destined to become or the ones we're choosing to be every day, or the people empowered by their Age? It has these very deep embedded questions that a teacher or parent could use to ask questions of the kid, and for the kid? This series also has all the magical adventure, fun, wit, and sheer imagination that something as famous as Harry Potter does (note: I haven't read His Dark Materials, so I can't speak to the Phillip Pullman comparison). I have the sense that S.E. Grove can do anything; her imagination is truly remarkable. 3) Sophia, and the other characters, are as adorable as ever. I love that these books are clearly led by Sophia. Theo becomes a hero with his own character arc in The Golden Specific, but to me the books are still centered around Sophia, who is one of my favorite heroines for her resourcefulness, loyalty, and determination. I love that S.E. Grove has created a female lead who doesn't give up her willingness to trust other people, even in the face of dangerous and frightening circumstances. I love that she comes across her own realizations in the appropriate amount of time, and I love that her flaw, time and time again, is what helps her to succeed -- in accepting herself, she becomes stronger with each book. As for the other characters, my original complaint from The Glass Sentence was that they didn't pop for me as much as I'd liked. No such complaint for The Golden Specific! Because you get other points of view besides Sophia's, the characters feel more complex. They have their own agendas, and seeing the characters through more than just Sophia's perspective allowed for added shades to their character. Additionally, The Golden Specific did a wonderful job highlighting how the characters are both their own people and defined by the world and Ages in which they live. 4) The world-building is phenomenal. If I expanded on this category, it would be incoherent fangirly rambles in which I praise S.E. Grove's imagination and all the remarkable little details that she adds to make the atmospheres and settings palpable, imaginable, and within our reach. So, I'll just have to curtail my discussion; also check my review of the first book for more on that note. In comparing The Glass Sentence to The Golden Specific, I'd say that The Golden Specific picks up the stakes; the other points of view (besides Sophia's) allow for additional complexity in the plot but sacrifice a little of the thematic emphasis that The Glass Sentence had on making of time what you want. I think that also hints at how dynamic this series is. 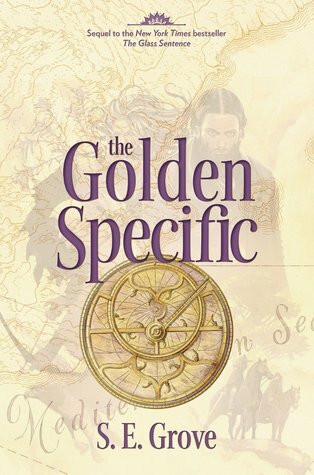 While The Glass Sentence had a whole heap of magic and enchanted me with this grand world, The Golden Specific pushed my imagination as a reader, because I could not predict where the plot was headed; there were so, so many details, and the world-building is so expansive that I didn't know where the book would take me next. Reading was an adventure of its own! One last thing I will also say is that if you've read The Glass Sentence, I would suggest rereading before reading The Golden Specific. Because the world-building is so expansive, I had a harder time remembering certain aspects of the plot and world that turned out to be crucial to The Golden Specific. A wonderfully well-written, timeless adventure through Ages and worlds both marvelous and dangerous, with colorful and developed characters at the forefront. You cannot miss out on The Mapmaker's trilogy by S.E. Grove.